Jim Payne began his career as a scholar in 1961 when, as an undergraduate at Oberlin College, he went to Peru to study the labor movement. His book on the subject, Labor and Politics in Peru, was published by Yale University Press. His doctoral work took him to Colombia where he wrote comprehensive analysis of national politics, Patterns of Conflict in Colombia, also published by Yale. After obtaining his PhD in political science from the University of California at Berkeley in 1968, he taught at Yale and Wesleyan, and later Johns Hopkins and Texas A & M University. In addition to his three books on Latin American politics, he has published works on social science methodology and epistemology, and international politics and defense policy. 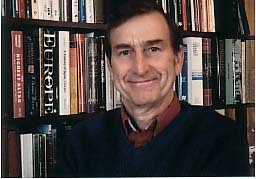 In 1985, he left academia to become a free-lance researcher, and in this capacity has written books on militarism (Why Nations Arm, Basil Blackwell), Congress, the budget, and the case for term limits (The Culture of Spending, ICS Press), the federal tax system (Costly Returns, ICS Press), and welfare policy (Overcoming Welfare; Expecting More from the Poor - And from Ourselves, Basic Books). Committed to political science education, Jim has written Six Political Illusions (2010), a primer on the fallacies of government for individuals of all ages and high school and college-level courses. He has also widely researched the role of force in civilization’s evolution, presented in A History of Force (2004). Jim is an avid voluntarist, fostering small-group solutions to social problems. His works on voluntarism include “The Birth and Death of Voluntarism” and “The Promise of Community; Local Voluntary Organizations as Problem-Solvers.” He has incorporated voluntarism into many of his books, including Princess Navina Visits Voluntaria (2002) and Take Me To Your Government (2013). Jim has served on numerous Boards for philanthropic organizations. His current volunteer activities include a private school scholarship fund (Sandpoint Educational Opportunity), the Sandpoint Teen Center, and the North Idaho Voluntarists. Jim makes his home in Sandpoint, Idaho with his wife Judith. His hobbies include gold panning, singing, and organ playing. He is a certified piano technician and organ tuner-technician. He also has made 16 long-distance solo kayak trips, which he has written about in One Inch above the Water (2008), Discovering England (2012), Worlds to Discover (2015), and Chasing Thoreau (2017).